Real estate appraisal is necessary if you buy, sell, or refinance a home. Charles L. Moles Real Estate offers you access to a real estate appraiser that serves Buck County, PA, and Philadelphia, PA. Our services are designed to bring you access to appraisal so that you can know the true value of your home. Real estate appraisal is essentially the process that determines the value of your home. If you are seeking to finance your property with a bank or lender, you likely need an appraisal to demonstrate the true value of your home. We visit the property and inspect both the interior and exterior to ensure that we have a complete picture of the property. As we perform our appraisal, we look for a variety of pieces of information relating to the appearance and value of the property. Our real estate appraiser compares your property to the surrounding properties and evaluates the curb appeal of your home as well as how it fits into your neighborhood. We also check the structural integrity of your home and make note of the size of the property and any upgrades or noticeable features of your home. Once our appraisal is complete, we share the information with you, the bank, or the lender. The value that your home is appraised at determines the mortgage and loan amounts you can receive with your home as a part of the buying, selling, or refinancing process. Since 1959, we have provided the quality real estate appraisals that the people of the Philadelphia, PA, area need. We are committed to providing you with the appraisal services that you need so that you can buy, sell, or refinance your home. When you’re ready to take the next step in your appraisal process, come to Charles L. Moles Real Estate. Call 610.275.2050 to speak with a real estate appraiser today. 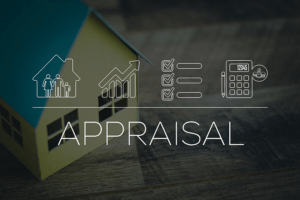 Let Us Know How We Can Help With Your Appraisals! Please Click Here to complete the Appraisal Form.